Teachers Climb for Free at The Adventure Park at The Discovery Museum, August 13 – 17 for "Teacher Appreciation Days"
(PRLEAP.COM) The Adventure Park at The Discovery Museum, located at 4450 Park Ave., Bridgeport, CT, has found a unique way to thank local educators for their contributions to the community while introducing them to the idea that a "climb" at The Adventure Park is "a natural" for school field trips. 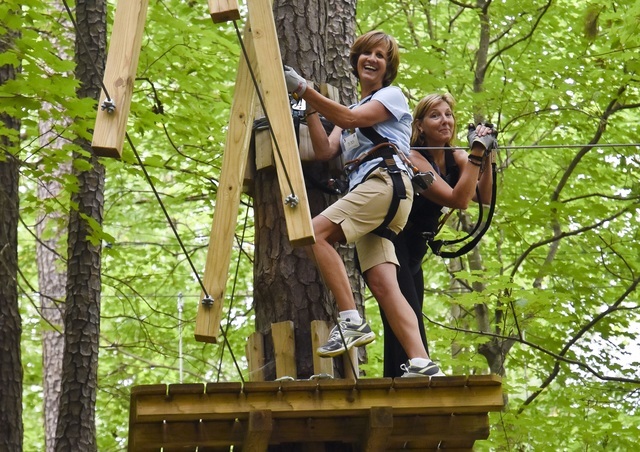 It is inviting school teachers and administrators to try The Adventure Park themselves, for free, from August 13 – 17, 2018. All that teachers and administrators have to do is reserve their climb online at the Park's website and use promo code TEACHER18 at checkout. Then, when they arrive at the Park to present their teacher ID at the registration desk, and they're good to go. 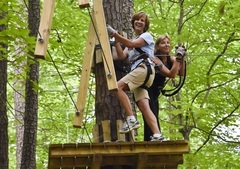 The Adventure Park at The Discovery Museum is designed, built and operated by Outdoor Ventures in cooperation with The Discovery Museum. For hours and prices click here. For further details and updates please visit www.DiscoveryTrees.org, email Info@DiscoveryTrees.org or call 203-690-1717.